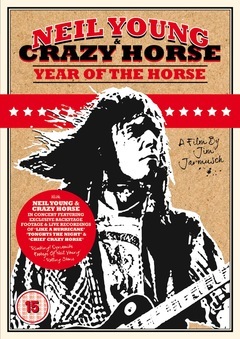 Jim Jarmusch's rip-snorting rock documentary about Neil Young and Crazy Horse features killer versions of 'Like a Hurricane', 'Tonight's the Night' and 'Chief Crazy Horse', filmed during live performances in Europe and the U.S during their 1996 tour. With archives 'stolen' from Bernard Shakey's film 'Muddy Track', 'Year of the Horse' also includes exclusive interviews and rehearsal footage filmed between 1976 and 1986. The concept for 'Year of the Horse' came from longtime Neil Young and Crazy Horse producer David Briggs who shortly before his death told Young 'This is the Year of Horse. All you have to do now is get closer to the source. Keep getting purer and purer’.